A couple of weeks ago, I signed up for the Rule Of Three Blogfest. Each Wednesday in October, I, and the other participants, will post a portion of a story set in a shared world called Renaissance. Other than the shared world, there are only a couple of other rules: there must be 3 characters, there is a 500 word limit for each part, each week’s entry must be based on one of several writing prompts from the organizers, and the entries go up each Wednesday or Thursday. Please take the time to visit the organizers’ blogs: Damyanti, JC Martin, Lisa Vooght, and Stuart Nager. Check out the rules, and visit the other participants’ blogs. I selected “There is fear of an impending misfortune”. An odd, dark cloud formation hung in the sky north of Renaissance, entirely obliterating view of the far-off Rondeli Mountains. Even the Major and Minor Gauches were just dark blots in the distance. Eriahne hurried to dig the last few spindly turnips, anxious to get inside. Raising the alarmingly light hand-woven basket to her hip, she darted across the barren, rocky field, as a rising wind plastered her threadbare dress against her body. The coming winter would be lean if she didn’t manage to find more to add to their meager stock of root vegetables. If only her father didn’t sell everything she tried to save, just for a few coins to trade for the poison swill they served at the Post. Whether the drink would kill him before his sorrow over her mother’s death did was anyone’s guess. At the door of the little shack she shared with her father, she turned for one last look at the clouds. Closer and darker, fleeting images of strange beasts roiled within the pall. Eriahne’s breath froze in her chest, as she recalled the legend of a dark fog rising from the Rondelis, to carry evil across the land. With no time to worry about what might come, she wrestled the door closed. Hanging the dented cook pot over the fire to boil, she added the greens she’d found growing in the lee of a boulder. They were the last before the cold set in, and would be bitter and tough, but they would have to do. At least the old man never complained about the food. When he bothered to speak, it was to urge her to accept Londehen’s proposal of marriage. Her skin crawled at the thought of the constable’s hands upon her. No. A horse blew just outside. Eriahne straightened too quickly, bashing the top of her head against a flimsy roof support. Checking for blood with one hand, she turned to look through the wide gap at the edge of the door, carefully keeping out of sight. A huge, sleek horse stamped and blew again. A tall man stood at the beast’s side, loosening straps and taking things off. With a pat to its shoulder, he slung a sort of pack over his muscular arm, and dangled a brace of rabbits from one hand. Holding her precious steel dagger hidden in the folds of her skirt, Eriahne pushed through the door. “I’m Teguere. If you don’t mind cooking, I have plenty.” He grinned and held the brace of rabbits toward her. Eriahne tried to stifle the rumbling of her stomach as she took the rabbits. She couldn’t remember the last time she’d tasted meat. 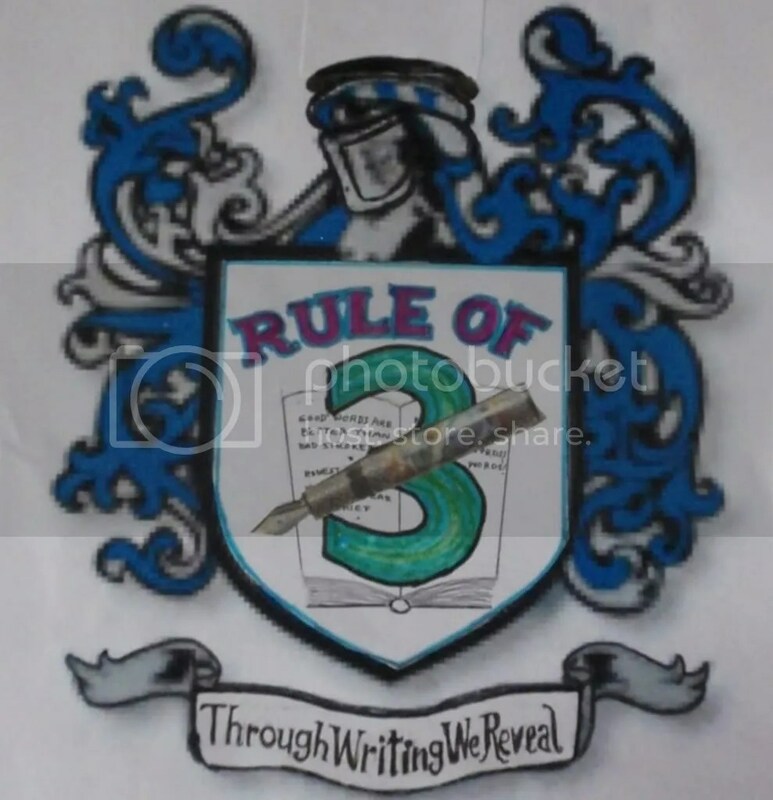 This entry was posted in Blog Hop, Rule of Three Blogfest, Uncategorized and tagged blog, Damyanti, JC Martin, Lisa Vooght, reading, Renaissance, Rule Of Three Blogfest, story, Stuart Nager, Writing. Bookmark the permalink. Thanks, Colleen! Glad you liked it. Great start! Looking forward to the rest of the story. Thanks, Damyanti! I’m looking forward to writing the rest. It’s a nice little break from novel length work. I like this. Just enough detail to give an idea of the bleakness of it all but lots of promise of the “misfortune” to come. Hmmm, think you have more than one prompt here. That would be a nice surprise. Very interesting and definitely impending doom. Well written. I’ll be back next week. Thanks TD, glad you liked it! I’m looking forward to the next set of prompts so I can find out what happens, LOL. It’s a great begnning, I’ve a kind of Lord of the Rings setting in mind as I read it! Good job! Thanks Misha. I don’t do a lot of short fiction, so it took a couple of attempts to balance imagery with action. 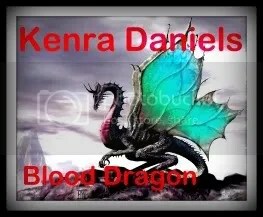 Wow Kenra, this is really really good. And romance in the air in the first 500! That’s what I’m talking about! This is a note to say that I’ve been by to read your entry. As one of the judges, I don’t want to make any specific comments that could betray my judgement — keeps you guys in suspense for longer! 😉 Suffice it to say that I’m truly enjoying all the different and creative takes on Renaissance and the Rule of 3! Thanks for stopping by, JC. I certainly don’t envy you and the others the task of judging. The entries are so diverse! And the competition looks pretty stiff, too. I’m impressed with your writing. Your story is intriguing and I want to read on. Good job. Thanks Richard! I’m glad you liked it! The only thing that threw me off was her saying her name right away, but I suppose that’s part of the custom of the land? Loved the dark imagery and landscape. I will wait impatiently for the next part. Thanks TP! Glad you liked it. I meant to explain that custom requires females to introduce themselves before males are allowed to – a little hint of a ladies-first tradition. Only in Renaissance, ladies are first only in meaningless ways. I am hooked. I want to read more. Good descriptive writing. Thanks, Lady’sheart! Glad you liked it! Ooh, a dark storm and a handsome mysterious stranger? =) I like your descriptions and the character background you throw in amongst the action of the story. You managed a lot in a short piece. Can’t wait to see what else the storm brings (besides rabbits for dinner)! Thanks Barbara! I can’t wait either – too bad I have a TON of other stuff I have to do before I can reward myself with writing it, LOL. That’s amazing, Barbara! Thank you! Great atmosphere. Looking forward to seeing how you flesh out the backstory as well. Lots of good stuff here. Rabbit stew is good eatin’! (Hassepfeffer!) I like the mysterious, polite stranger. And I was hooked into Eriahne’s world, when you mentioned how she kept trying to save up an emergency fund, and her father always stole it for his drinkin’ money. Thanks for coming to Renaissance with us!